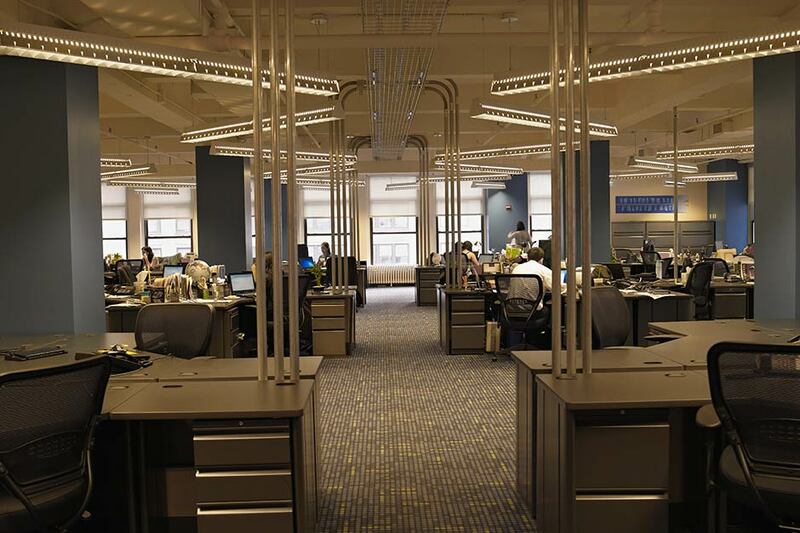 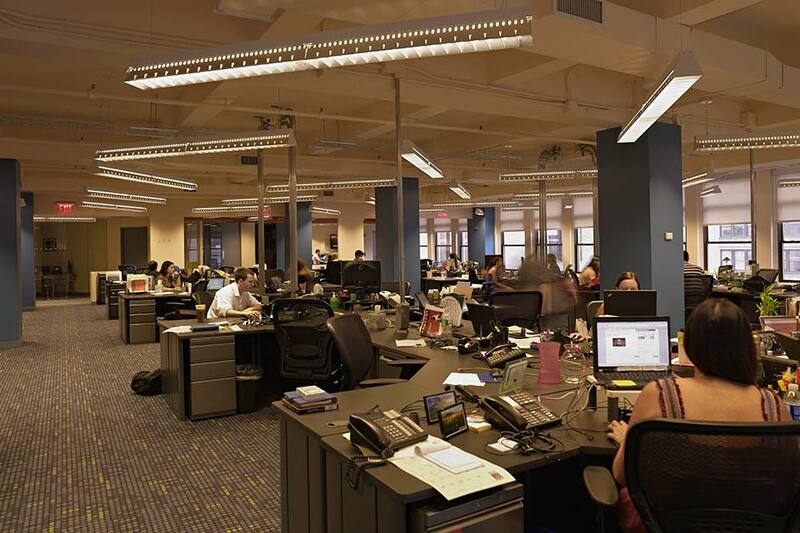 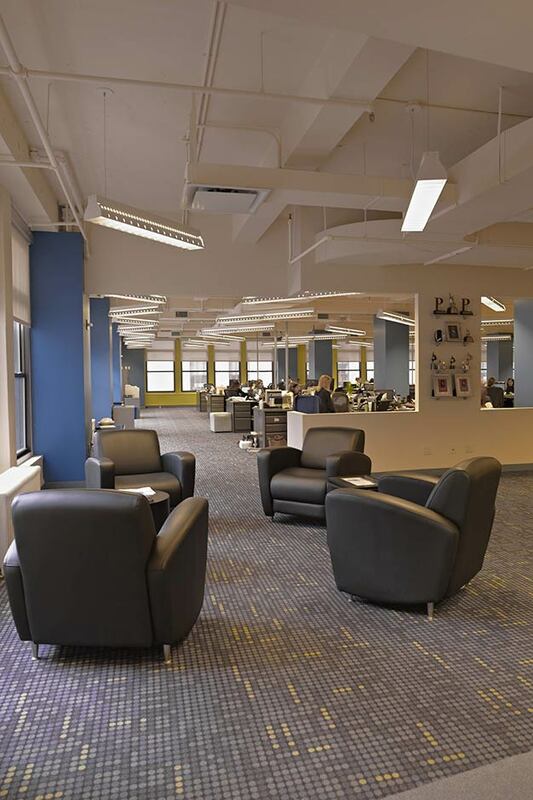 Text 100, New York, NY– This Public Relations firm engaged BGA to design its new 15,000 Sq. 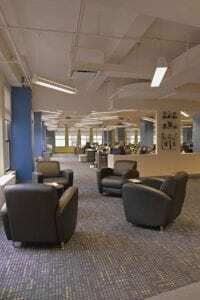 Ft. office space in New York’s Flatiron District. 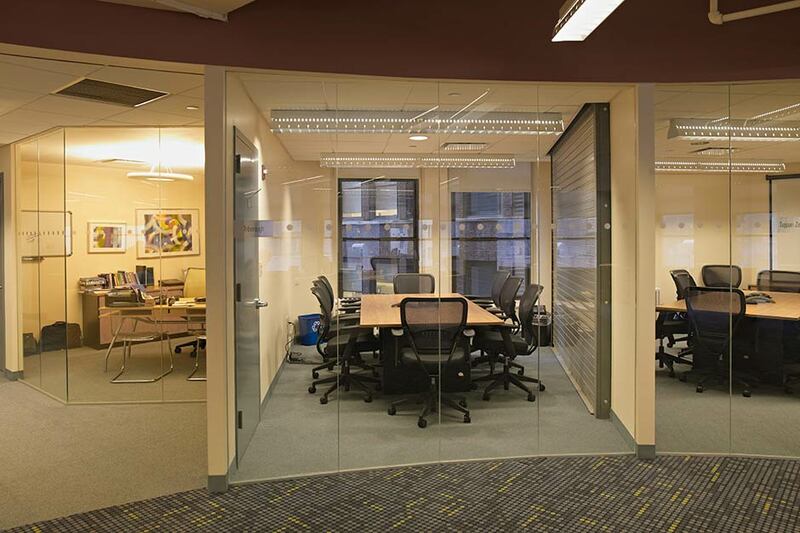 An Open Plan Staff design was the ideal way to go since the Text 100 staff worked in an open ‘newsroom’ like setting, with a variety of nearby Meeting Rooms for Conference Calls + Client Presentations.